Aaron Ramsey and Alexandre Lacazette scored either side of halftime to send the Gunners third in the Premier League. Arsenal entered this match knowing a win would take them to third place in the Premier League table for the first time this season. The visitors looked set to frustrate the Gunners and that only worsened when Aaron Ramsey had a goal disallowed inside 30 minutes. The Welshman wasn’t deterred and seized upon a loose ball in the box to hit a first-time shot into the far corner. Arsenal pressed forward after the break in search of a second goal and even threw Pierre-Emerick Aubameyang into the fray. The Gabon international made an impression but it wasn’t in front of goal, he instead played the ball through for Lacazette who raced through and chipped the ball into the back of the net. 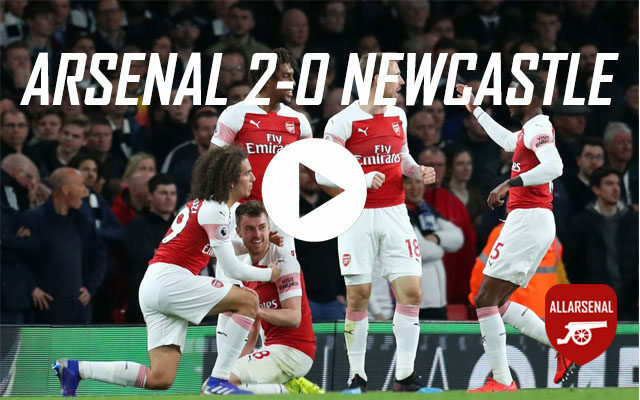 The Gunners were perhaps unfortunate not to add a third when Lacazette had his second of the night ruled out but it didn’t stop Unai Emery’s side from picking up all three points.